Publisher: Hurst & Co., New York. No date. Research reveals it to be circa 1880s-1890s. Condition: Decorative cloth. Good. Pages severely tanned, but clean and unmarked. Binding tight. 184pp., app 7.5″ by 5″. 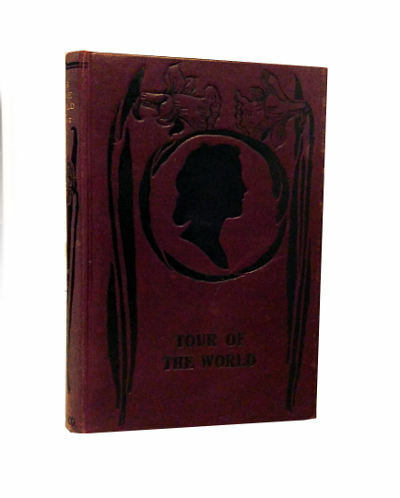 Around the World in Eighty Days (French: Le tour du monde en quatre-vingts jours, known as “Tour of the World in 80 Days” in early English editions) is a classic adventure novel by the French writer Jules Verne, published in 1873. In the story, Phileas Fogg of London and his newly employed French valet Passepartout attempt to circumnavigate the world in 80 days on a £20,000 wager (roughly £1.6 million today) set by his friends at the Reform Club. 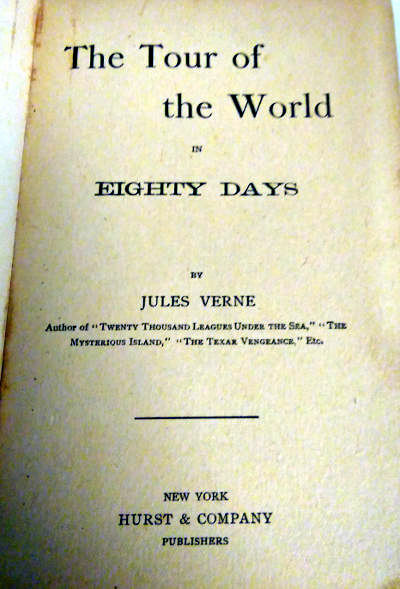 It is one of Verne’s most acclaimed works. (from wikipedia).